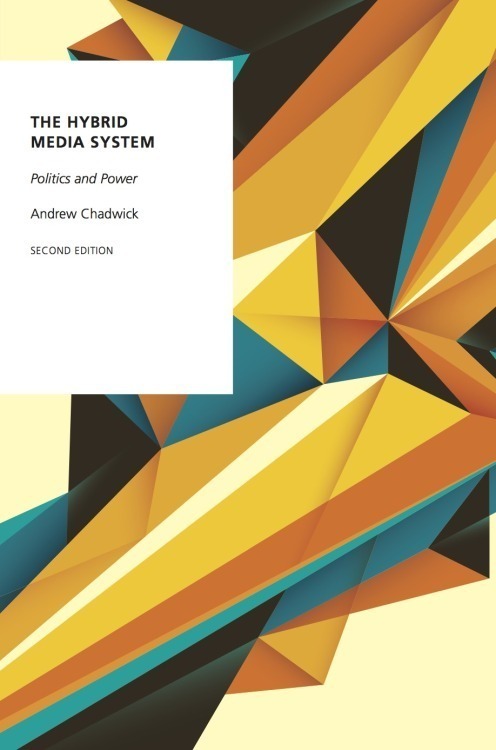 First published in 1999, Andrew Chadwick provides an important new interpretation of British radical, suffrage-feminist and socialist movements during the first quarter of the twentieth century, based on analysis of their visions of democratic constitutional reform. He argues that a shared discourse of “radical constitutionalism” allowed these groups to forge alliances based upon a common preoccupation with extending and improving constitutional democracy. This book is a significant contribution to current methodological debates around the importance of language and discourse in social and political history. It is the first detailed study to integrate material on three important constitutional campaigns of this era: the reform of the House of Lords, women’s suffrage, and proportional representation. It will be of interest to students of British politics, social and political history, historical methodology and political theory. Reissued as a Routledge Revival title in 2018. “A most promising first book; the author seems a person to be reckoned with. We won’t have heard the last of him… He makes his point convincingly that “radical constitutionalism” brought many disparate causes together.”—Professor Sir Bernard Crick in Political Quarterly 71 (4) 2000, pp. 476–77. Professor Vernon Bogdanor (University of Oxford) described it as having “many fresh and original things to say,” and as “a stimulating and important book” with “contemporary relevance.” Contemporary British History 51 (1) 2001, pp. 160–62. Professor Terry Irving (University of Sydney) wrote that the book “offers a nuanced account of ideology” and that “It will be difficult for any historian, after reading Chadwick’s book, to persist with the old idea that Labour’s ideology is to be found only in Labour’s publications, or that labour history can be summed up as a transition from political democracy in the nineteenth century to social democracy in the twentieth… similar approaches and questions are needed to make better sense of the labour history of other countries. Chadwick’s book will stimulate that work.” Labour History, 81, November 2001, pp. 227–229. “This book represents a useful addition to our understanding of early twentieth-century radical politics and the place of constitutional reform within political controversy.”—Professor Jon Lawrence (University of Liverpool), in Parliamentary History 20 (3), 2001, pp. 398-399. “Andrew Chadwick has done fascinating research, resulting in a quite important book…[it is] a significant contribution.”—Professor Ricardo Muller (Universidade Federal de Santa Catarina, Brazil) Social History Society Bulletin (2000).